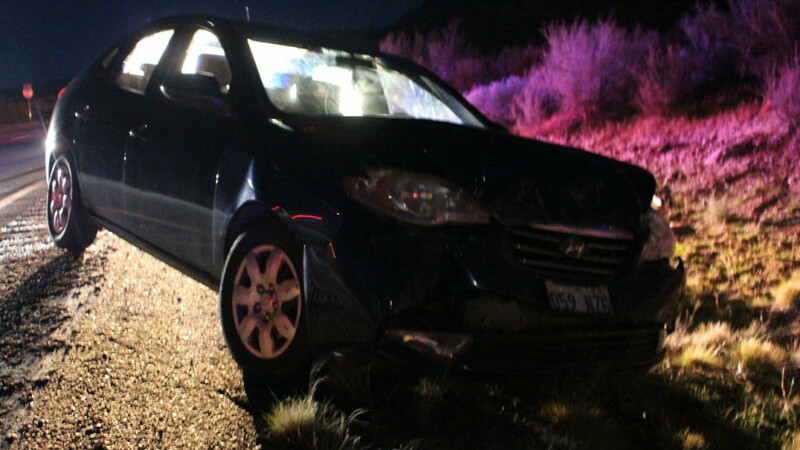 TOQUERVILLE – One accident followed close behind another on southbound Interstate 15 Friday night and it all started with a deer attempting to cross the road. 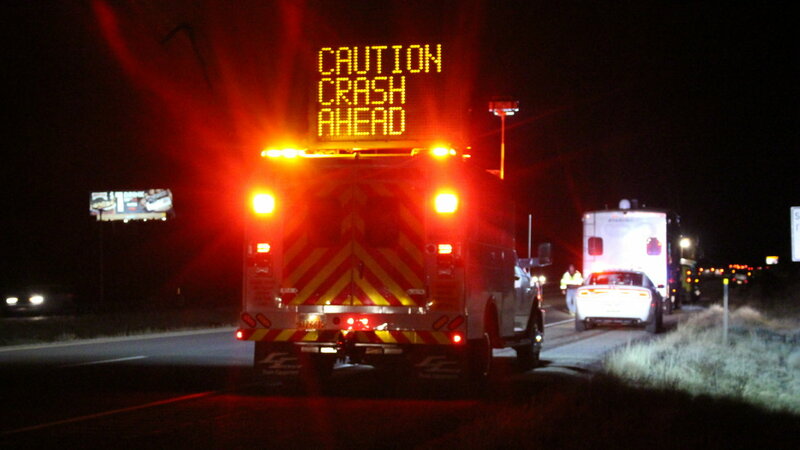 Shortly after 5 p.m., Utah Highway Patrol troopers were sent to the scene of a deer-versus-vehicle accident just south of the Toquerville exit at milepost 27. A couple from Montana was heading to Yuma, Arizona, when a deer jumped out from the median right in front of their pickup truck, UHP Trooper Matthew Pratt said. 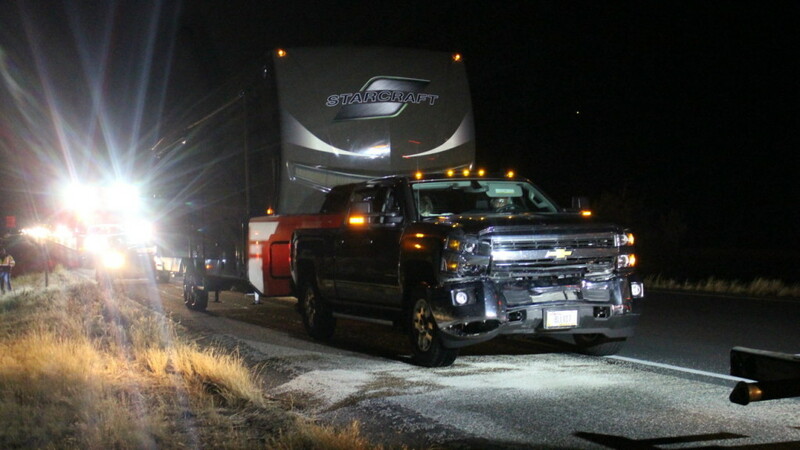 “(With) traffic all around them, (the driver) didn’t swerve, stayed straight in his lane, hit the deer head-on,” Pratt said. The impact smashed in the front of the pickup truck and destroyed the radiator. The deer did not survive the encounter. The driver was able to pull the truck over to the side of the road and get out of the roadway while UHP and other agencies responded to the scene. The driver and passenger of the pickup were spared any major injury, although the driver had an abrasion on his hand from the airbag going off, Pratt said. While the first incident was being dealt with, the driver of a passenger car north of the accident didn’t notice traffic ahead of him was slowing and rear-ended the car ahead of him. No one was injured in the second accident, UHP Trooper Chris Lewis said. 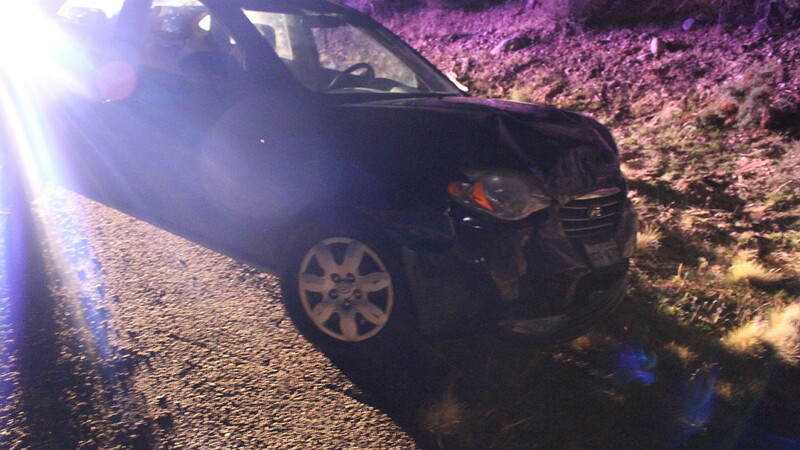 The driver was subsequently cited for following too close, he said. All three vehicles involved in the accidents were towed from the scene. Washington County Sheriff deputies and Hurricane Valley Fire District and ambulance also responded to the scene. Glad he was smart and didn’t swerve like most people do. And the gawker got what he/she/it deserved. Slow down, move to the far lane when you see flashing lights.